Six cars caught fire at a car park near the Taman Jaya LRT station in Petaling Jaya at about 7pm today, sending thick smoke into the air. Inspector-General of Police Tan Sri Khalid Abu Bakar has tweeted about the incident saying, “someone set a car ablaze at parking of Lrt Taman Jaya, Pj. There was no bomb explosion. @PDRMsia is investigating a case of mischief by fire”. The incident which was initially rumoured to be a bomb-blast is now being reported as an act committed by a jealous husband out for revenge. Police investigating the incident have said that the man, a worker at a nearby restaurant, had been seen at the scene of the crime with a Molotov cocktail that he allegedly threw at his wife’s car. “The suspect was initially wearing a helmet, but he removed it later. 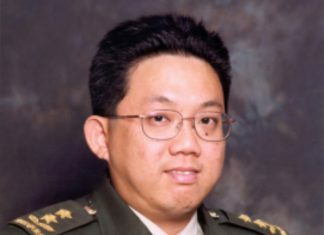 This allowed the victim to recognise him,” Malaysiakini reported. 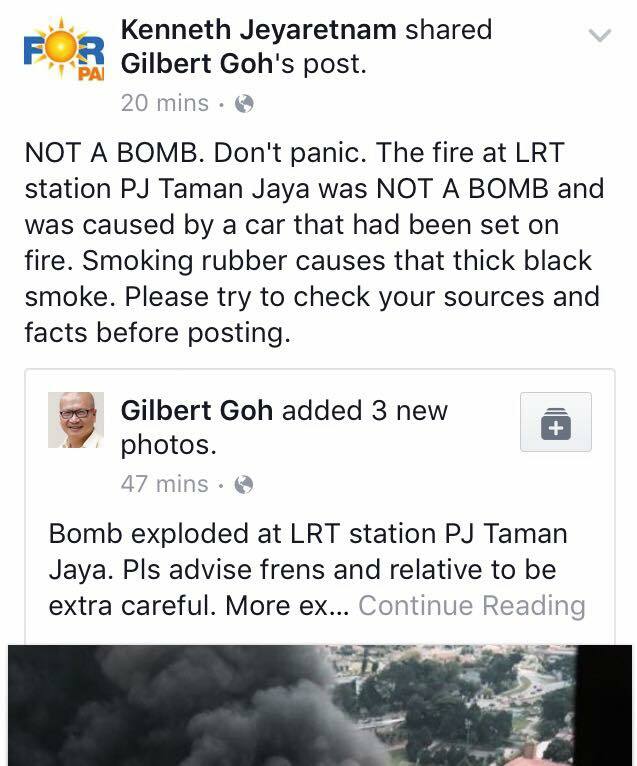 At about 10pm tonight (21 Dec 2015) Reform Party’s candidate for GE2015 and social activist, Mr Gilbert Goh, posted some pictures of the incident at Taman Jaya LRT station in Petaling Jaya with the caption, “Bomb exploded at LRT station PJ Taman Jaya. Pls advise frens and relative to be extra careful. More explosion is expected , News by Against Racism”. Mr Goh’s party-chief, Mr Kenneth Jeyaretnam has chided his member for making this careless post. 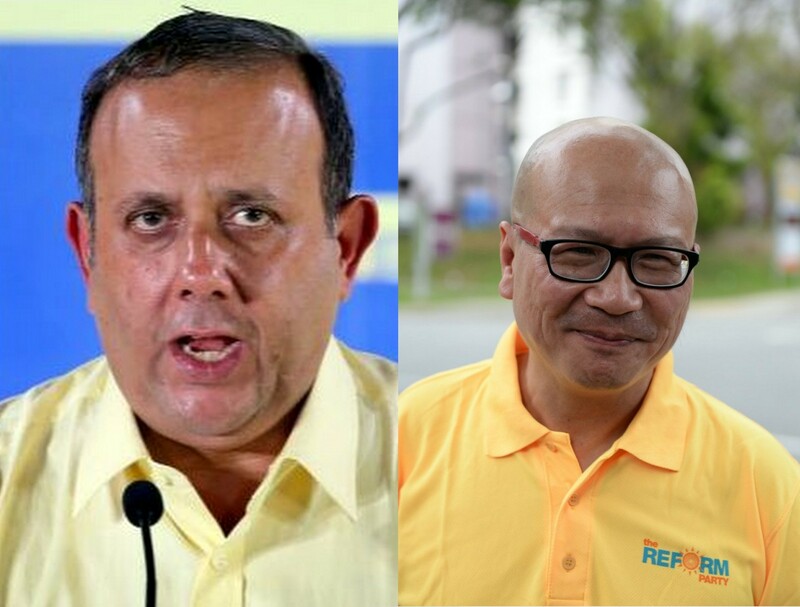 Commenting on Mr Goh’s Facebook post Mr Jeyaretnam said, “it wasn’t a bomb Gilbert. Please be more responsible and check sources before posting”. Linking Mr Goh’s posts about the incident on his own social media platform, the Reform Party secretary-general has posted further clarifications there.